Oh, First 4 Figures, how you torment us. It's the retailer responsible for producing lovely but pricey collectible figurines / statues that we can't really justify buying. They often look amazing though. Pre-orders have now opened for Cat Mario, which comes with three different options to entice you further. 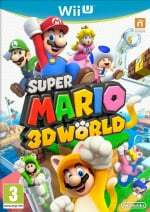 It's unsurprising that the Super Mario 3D World transformation is getting the treatment, as it's a rather cool look for the famous plumber. This one has three purchasing options, so let's break it down before we get to the images. Cat Mario Regular Version - includes standard Cat Mario and costs $209.99 with a $20 deposit, limited to 2000 pieces. 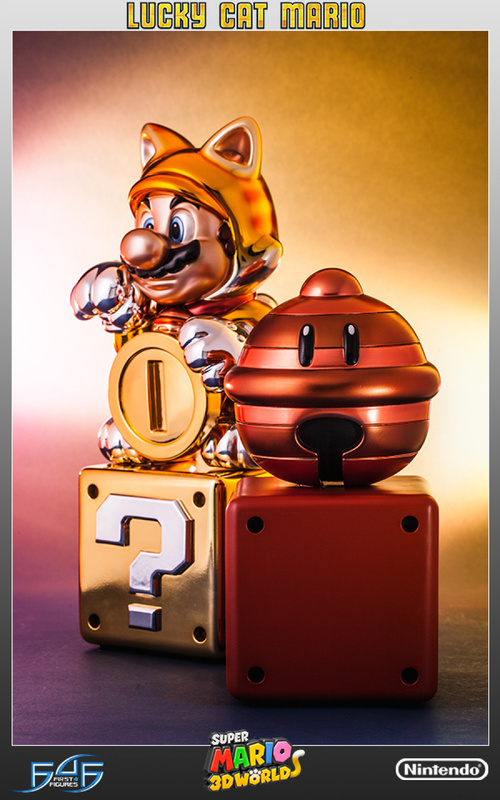 Cat Mario Exclusive Version - includes standard Cat Mario and the Used Block with Lucky Bell, costs $259.99 with a $20 deposit and a limit of 750 pieces. 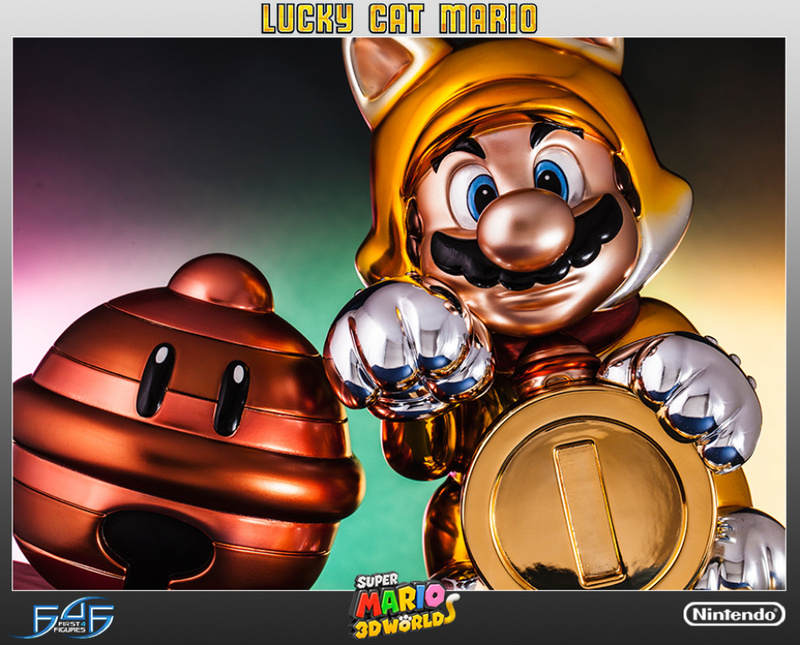 Ultra Rare Lucky Cat Mario - Includes a Cat Mario with a golden finish and the Used Block with Lucky Bell, costs $399.99 with a $40 deposit and a limit of 125 pieces. 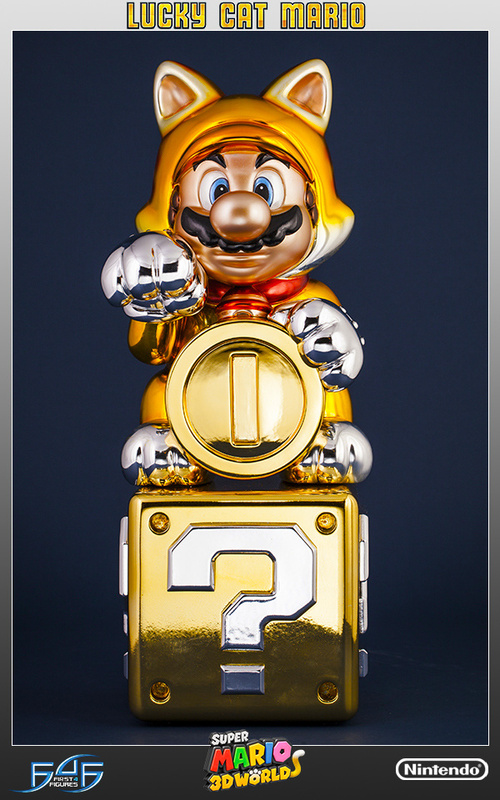 Below are some images of the pricey Lucky Cat Mario version, in which Mario appears to have a tan that would make him an ideal cast member of Strictly Ballroom. Are you tempted to pick up this purrfect statue, or has that awful wordplay put you off forever? Let us know in the comments. It looks like when you are in a rainy stage. And I wish I could pay for it. @Sergio151 What a story, Sergio! I may get the regular one...for luck. I wonder what they unlock in smash bros?? "Because I am a fan of Meow Meow Mario." If anybody knows where's that from, then you are awesome. $400!? no thanks, looks cool though. 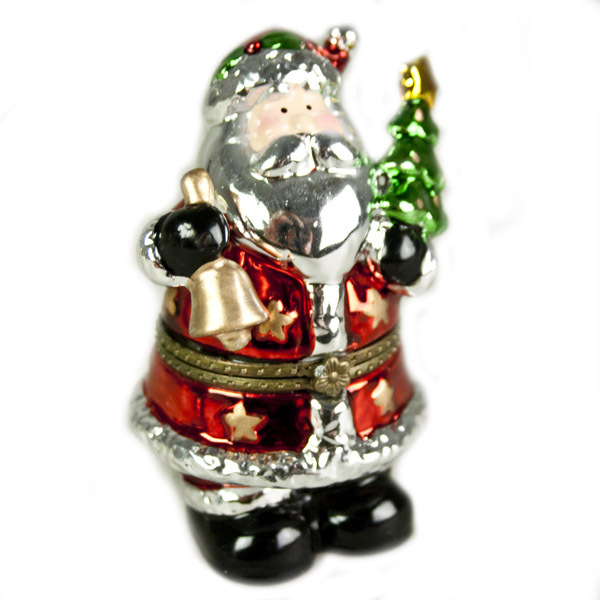 The metallic one looks like one of those naff Christmas decorations you get from either Poundland and places like that. I have yet to take the plunge on any F4F figures, primarily due to cost. Though I did sign up for waiting list on the Metroid Light Suit statue that lights up. It's $400 but man, does it look awesome! I thought the exact same thing...would look great in a xmas tree...but not at that price! $400 for a figure? What the hell? 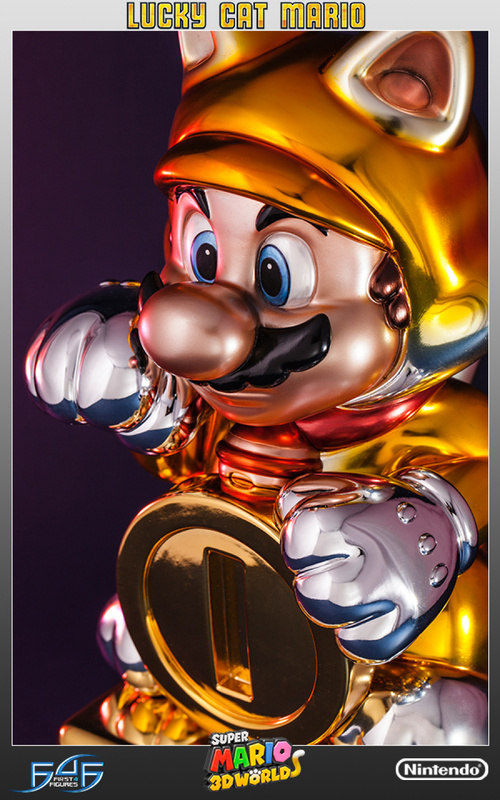 It does look amazing, but I'd expect the $400 version to be at least metal for that price! I wonder if it is? @rushiosan yeah, this is First 4 Figures we're talking about. You can expect to pay upwards of $100 at the very least when they announce a new product! So I'm not the only one that thinks the cheapest one is the best and the most expensive is the worst (or at least good)? Of course, the cheapest ne is still way out of my price range, especially after buying a new bass and bass pedal, and if I did have the cash to spare, there's other things I'd rather buy, such as more games. Like buying Earthbound for 1000$ on eBay AFTER it hit the eShop, because anything limited is worth it, right? Then again, I'm sure 10x as many people would be able to justify that (paying 20x what the game originally sold for) vs this. Bearing in mind, they licensed it from Nintendo. Paid for an artist to design it (and likely another to sculpt it) and a specialty moulding and paint to manufacture it (not cheap labour either). Is it worth the money? Likely. Is it something people would want? Definitely, as it's sold out. Would I spend 400$ on it? Not on my current income. @Freeon-Leon I was thinking the same thing! It's so beautiful! I'm sure my $400 would account for a life time of good luck. That's how it works right? @Takerkaneanite6 The Nintendo Direct where they showed off Mewtwo and Lucas with the Smash Ballot and Iwata's choice was, Cat Mario, Because I'm a fan of meow meow Mario. Nope. Order cancelled. Just went on eBay and bought one though, for less than my original preorder. Take that! And it came in today!